It’s been two months since my last blog post, that’s bad! I took a break after participating in master the mainframe as it took a lot of time and energy away from me. I was not only active here on my blog but also on Slack and LinkedIn; I helped out a lot of students/enthusiasts with the challenges. But now… I’m back, alive and well. So, I’m setting up my own mainframe today. I know I can still use the mainframe IBM has made publicly available to all Master the Mainframe contestants. But having my own mainframe is way more fun isn’t it? I can’t run z/OS as I would need a valid license. VM/370 by IBM is the last public domain mainframe platform available. 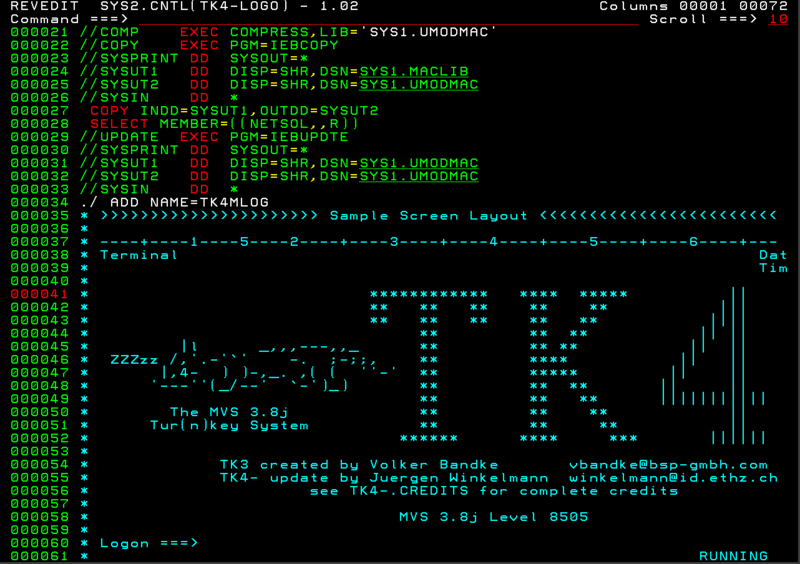 MVS 3.8j Tur(n)key 4- System, no SQL available. I will try MVS 3.8j. The only downside I really see with using one of these is that there’s no SQL-like driver available. The only good reason I have to use these systems is so I could develop Enterprise COBOL and ASM directly inside a mainframe. It’s also a lot of fun! I’ll definitely do some DB2 and COBOL later using IBM’s mainframe. I’m also unsure whether I’ll learn Java mixed with COBOL, that’s an option for the future. So I was looking around on the internet and I stumbled upon a presentation by Jeroen Baten. He didn’t really explain how to setup a mainframe on Linux but he did give a clear statement. So, I’ll do exactly what Mr. Baten said. I’ll be doing this on Debian 9, as it is the operating system I’ll be running on Hetzner (a cloud host provider). There’s only 7 simple steps to follow. 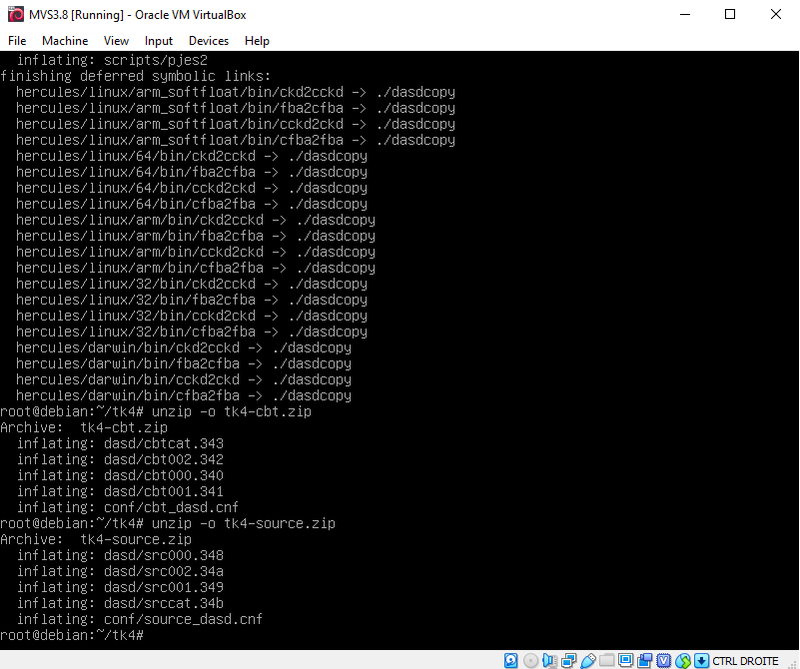 Run: ./util/bldlvlck and see which dependencies you need to install. Besides all listed dependencies you’ll also need to install g++ by issuing apt install g++. If you can’t execute the file then chmod u+x ./util/bldlvlck so you can execute the file. Then generate the configuration file using ./autogen.sh. Then create the executables using make. Then install the programs as root using make install. This should be simple right? Right? Right… Also, the reason I’m getting the files from GitHub is because the autogen script is missing from the official download link. What’s up with that?! HUH?! But… but… there’s also apt install hercules. I like building this from source. Just because. So I have downloaded the files and extracted it to the spinhawk-release-3.13 folder. Now I can check which utils I still need to install. I still lack autoconf, gawk, gcc, m4, make and g++. 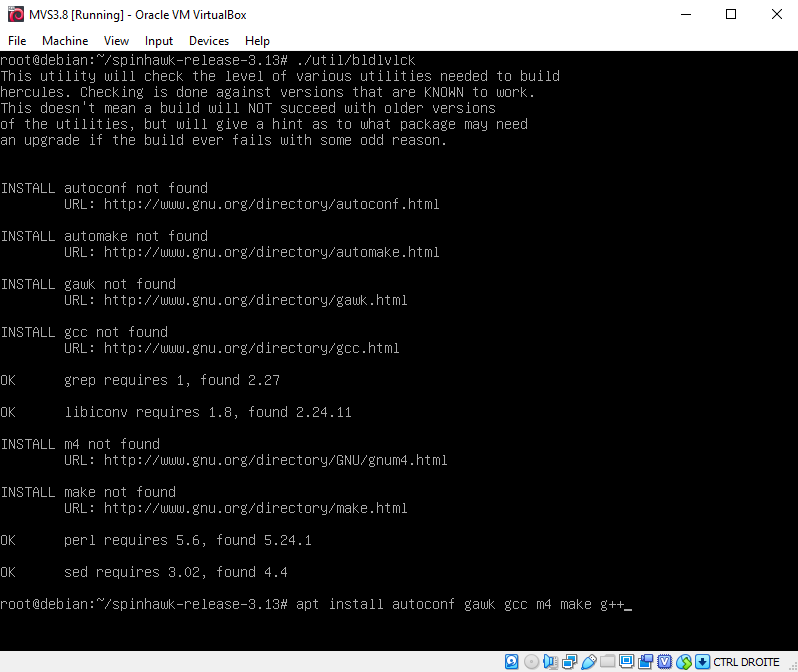 I’ll install those using apt install autoconf gawk gcc m4 make g++. When running the check util again it gives me OK for all requirements. 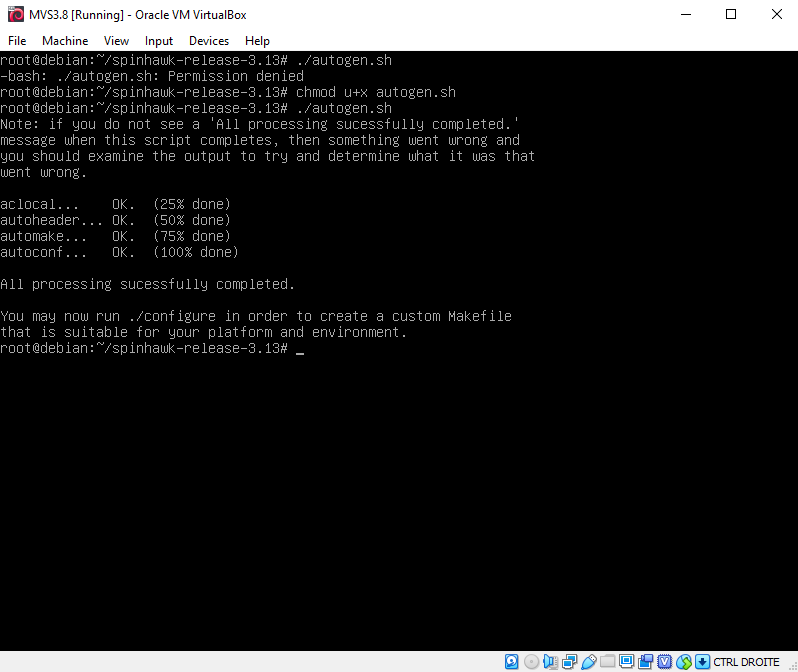 This means I can now generate a configuration file. After generating the configuration file, I can let it configure by using ./configure and then I can make and make install. This might take a while. 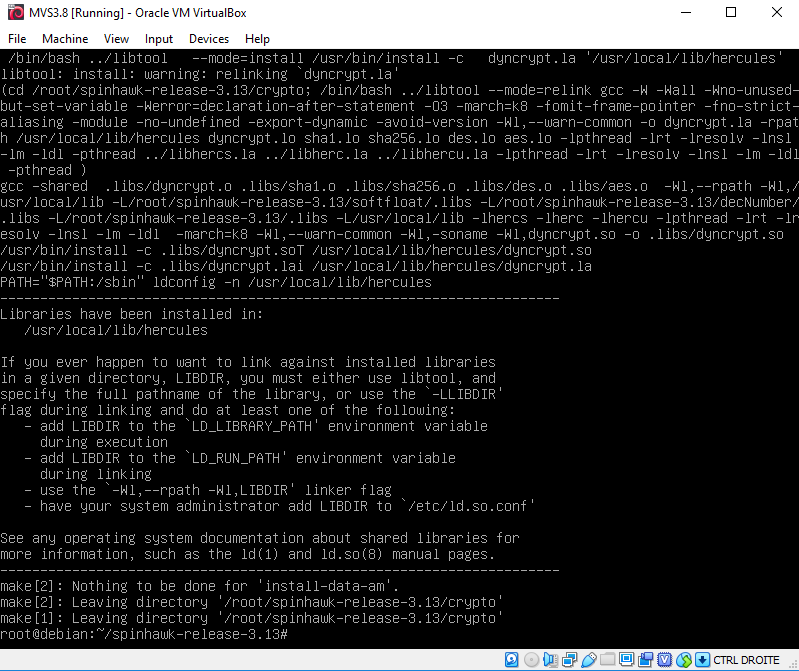 Libraries have been installed in: /usr/local/lib/hercules. There! It’s done! This is easier than compiling Hercules. Actually, I don’t think setting up the Hercules emulator was necessary. I did it anyway. There’s also a Docker image available, but that’s not any fun either. unzip tk4-_v1.00_current.zip and then unzip the other zip files using the -o flag. Observe the screenshot below. It’s best to do this in a different folder. We’re going to set the MVS OS to console mode instead of daemon mode. This enables us to issue commands without being connected using a telnet connection. This can be done by changing to the unattended directory and running the ./set_console_mode script. tables. The logon password is CUL8TR. HERC03 is a regular user. The logon password is PASS4U. HERC04 is a regular user. The logon password is PASS4U. The IP address of the system. 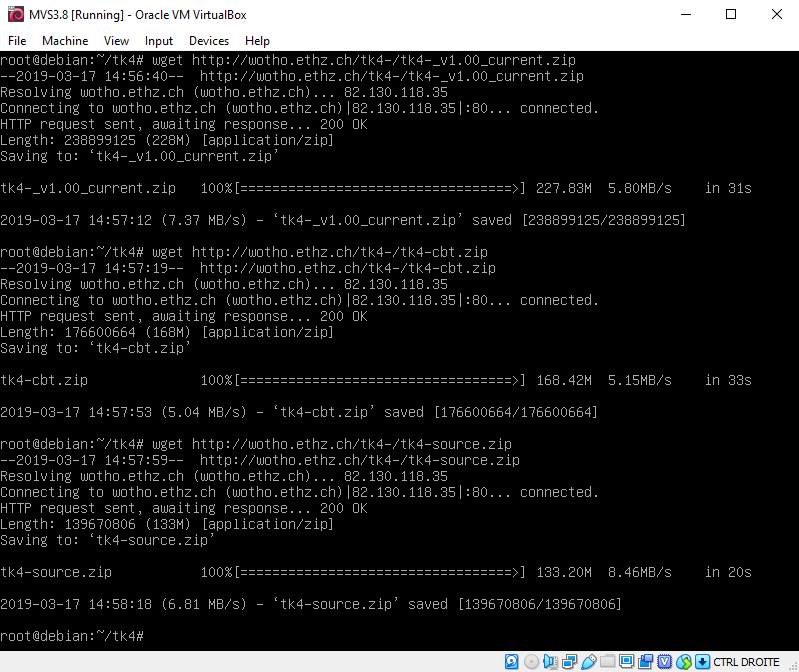 In this case I don’t need to port forward, it’ll also be a local IP address. 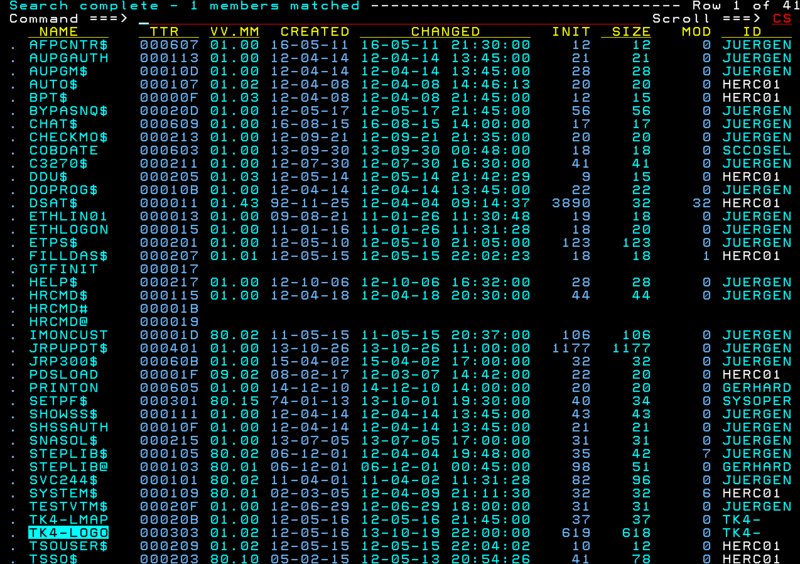 You can discover the address by issuing ip addr show inside the terminal. 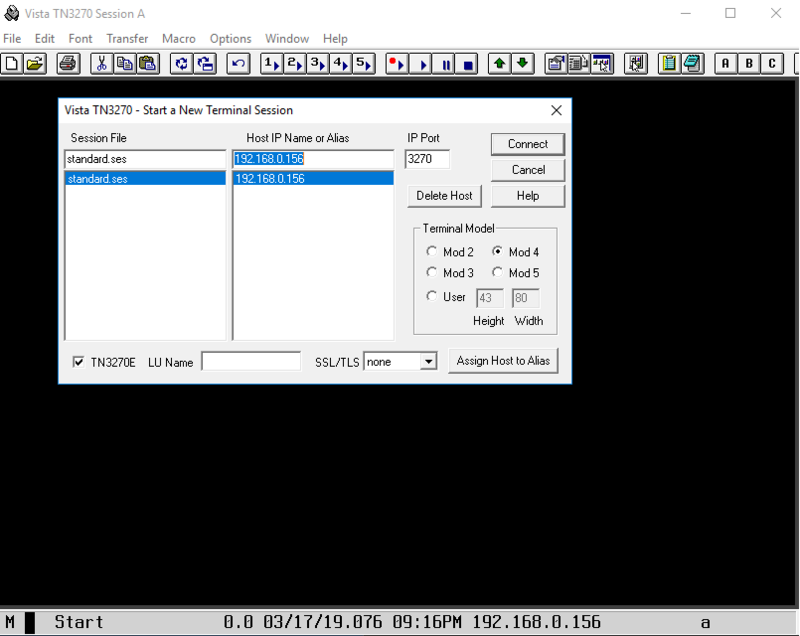 Then you connect to that IP address using your 3270 terminal emulator. The port is 3270, not 23. My address in this case is 192.168.0.156 and port 3270. I’ll start the mainframe OS using ./mvs. MVS is up and running! I know, I know, I shouldn’t be using Vista TN3270. When I can, I’ll buy a copy. I’m still using the license from IBM’s Master the Mainframe challenge. So I’m connecting to the IP above and I’ve set the IP Port to 3270. It’s alive! Enter the LOGON command. I’ll login as HERC03 and my password is PASS4U. 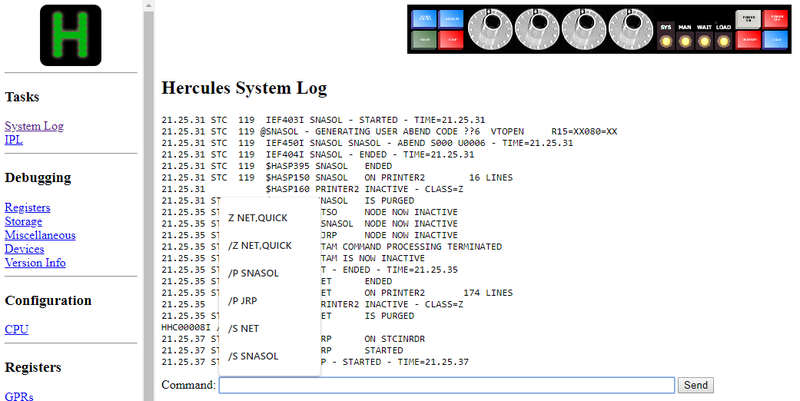 Everything is now setup and I’m ready to start writing my own COBOL! Are you running your own mainframe? Do you want to? If you don’t like mainframes then let me know at idontlikemainframes@kevindurant.be. Let’s make our custom home screen in MOM part two! It’s been a month and a few days since I’ve spoken to you, my love. Have you missed me? On a more serious note, I felt that I could not start a new blog series without having closure. 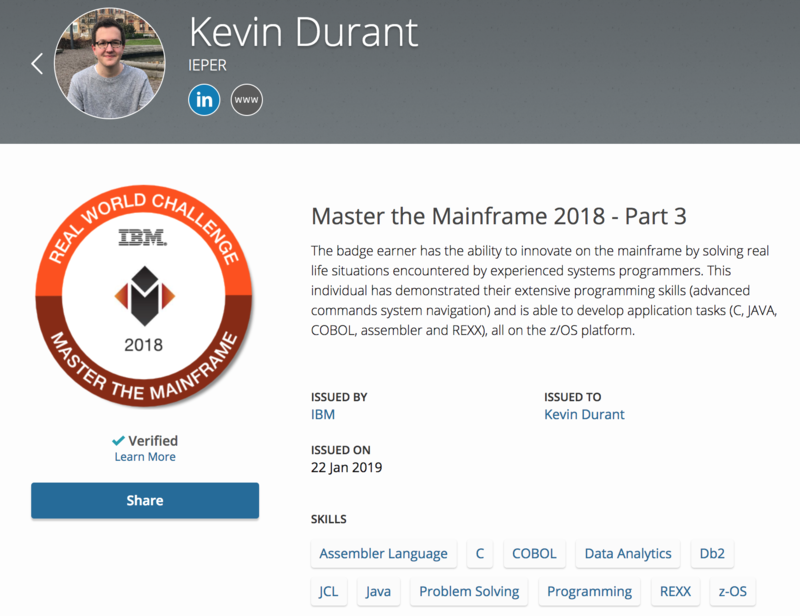 I’ve started this series of IBM’s Master the Mainframe 2018 contest on september 11th 2018 and now officially finished it 22nd of january 2019. Here it is, the badge. W-o-o-o-o-o-o-o-h! I wish to thank all few thousands of visitors! Do you see that one last spike? That’s the last day the MTM contest was open, the 31st of december. 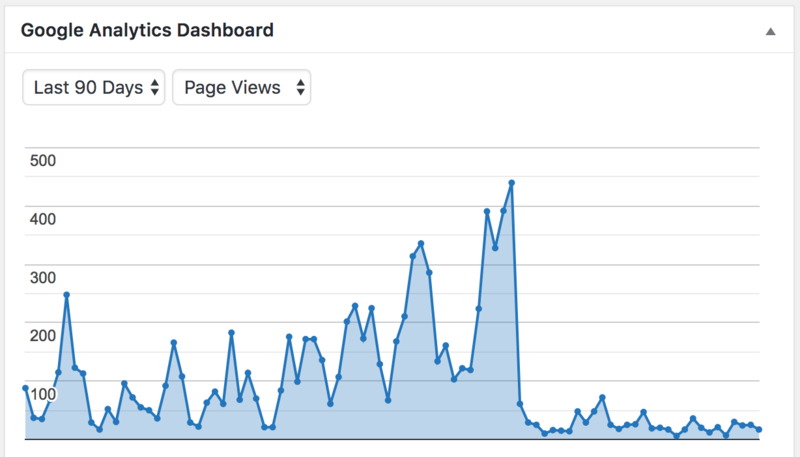 A total of 440 visitors panicked and checked my website. We cried, laughed, had fun but we got all our work done. Each comment fueled my will to write blogposts and I would also like to thank all viagra and credit card loan spam bots to give me the illusion of 50 new comments per day! Mr. Paul Newton told us that we’re going to work with Zowe’s open mainframe project. Get started at https://zowe.org/home/. other cloud platform. Zowe is the first open source project based on z/OS. I’m very curious about what they’ll come up with in 2019. In the meantime, it might be time to explore Zowe? What am I going to learn next? Trying to become a Google grade programmer via https://codingcompetitions.withgoogle.com/hashcode and https://codingcompetitions.withgoogle.com/kickstart. Learning Java, Java EE and Enterprise COBOL. What are you going to study? Did you get the badge?